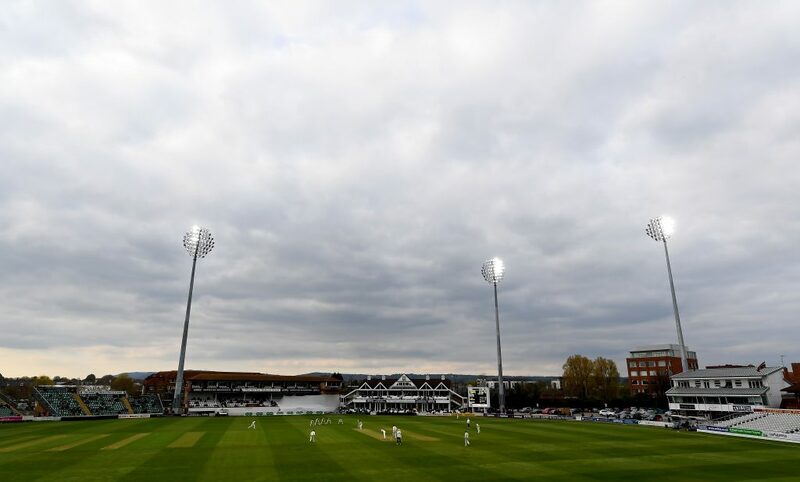 Newly-promoted Kent take a slight advantage in to day three of this Specsavers County Championship match at the Cooper Associates County Ground. 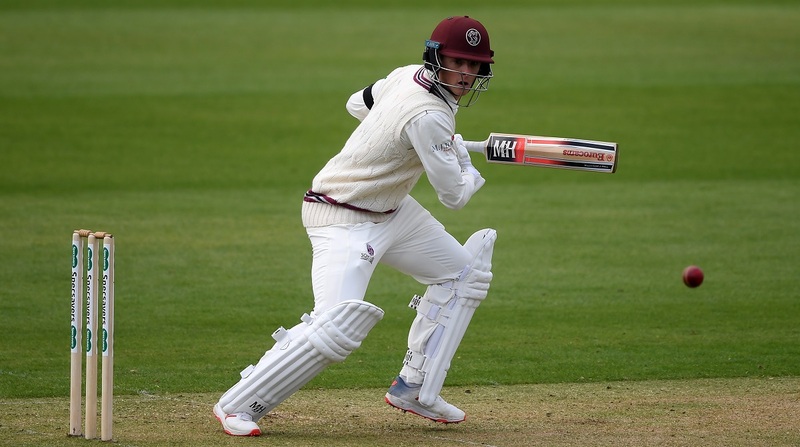 Making up for lost time after the first session was lost to a damp outfield, the visitors bowled out Somerset for 171 in 48 overs, Mitch Claydon returning figures of five for 46. 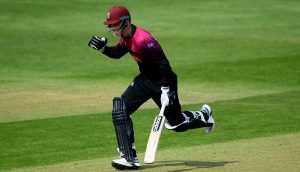 Somerset Captain, Tom Abell offered some meaningful resistance as he top scored with 49. By the close of play Kent had reached 84 for two, still 87 runs behind. The home side started well as openers Marcus Trescothick and Azhar Ali added 30 inside nine overs. However, their smooth progress was interrupted when Trescothick was bowled by Podmore for 10. Having breezed his way to 24, Pakistani Test batsman Azhar was next to go, pushing at a length ball from Matt Milnes and edging to Dickson at first slip. Promoted up the order to number three, James Hildreth produced some eye-catching shots off the back foot in raising 27 before edging Claydon to Zak Crawley at second slip with the score on 63. Eddie Byrom played the shot of the day, straight driving Milnes for four, before falling to Darren Stevens’ tumbling catch in the gully. Abell then played the lead role in a restorative alliance with Steve Davies as the pair enjoyed a 50 partnership inside 10 overs. Davies was then caught by Milnes at backward point off the bowling of Claydon. When Abell was eventually caught on the boundary one run shy of his 50 Somerset found themselves on 145 for eight. Claydon went on to completed his five-wicket haul by removing Josh Davey before Podmore wrapped up the innings, taking a return catch to dismiss Craig Overton for 14. 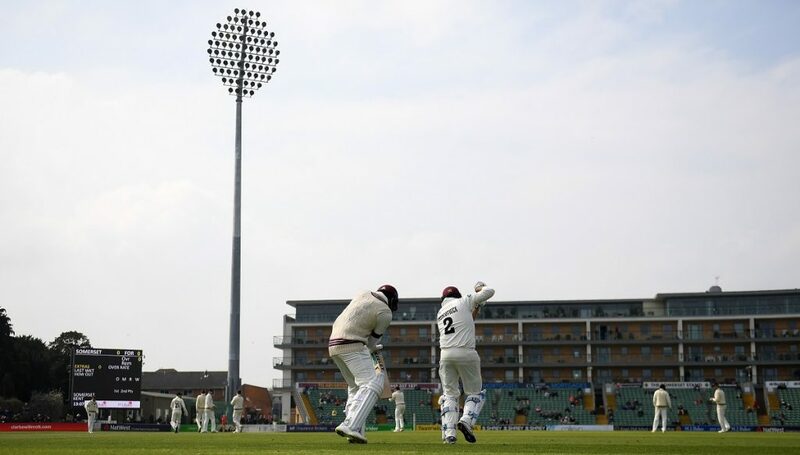 The new floodlights at the Cooper Associates County Ground were switched on for the first time at 5.30pm as Crawley and Dickson survived a probing examination from new ball bowlers Gregory and Jack Brooks in an opening stand that yielded 71 runs. Overton effected a much-needed breakthrough when Crawley edged to second slip for 37, while Podmore clipped Davey to square leg shortly before the close, leaving Dickson and Renshaw to negotiate two overs. 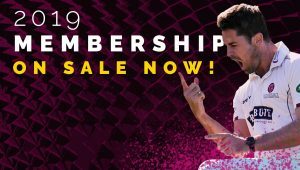 At the close of play Somerset Head Coach, Jason Kerr said: “It was a frustrating day, especially after the preparation we’ve had and the way we’ve come into the season. If the guys had that opportunity again, they would certainly apply themselves differently. They will have the opportunity to put that right in the second innings. “Tomorrow’s first session is going to be really important and the guys are going to have to come back and show the character they showed for a lot of the time last year. If we can get a couple of early wickets and put Kent under pressure, it could be a very different story.